How will I ever choose between so many charming and lovely cut flowers for My Backyard Flower Farm? 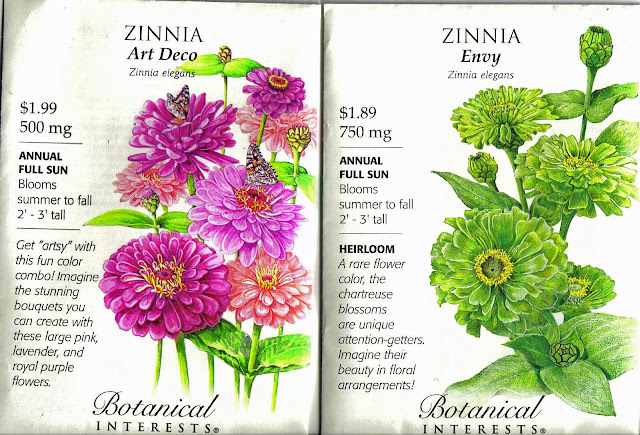 Well, there are few must haves on my cut flower list and the Old Fashioned Zinnia is one of them. 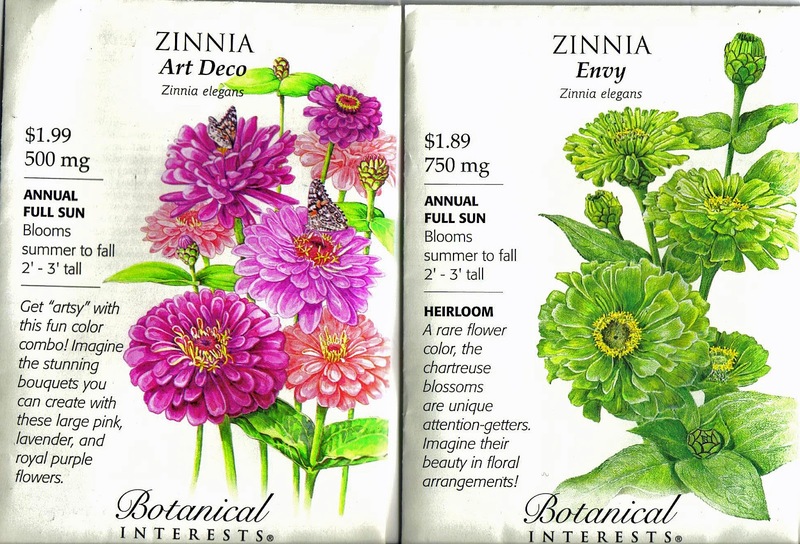 Zinnia's ( Annual ) are easy to grow and germinate quickly! Sow them directly outside 1 to 2 weeks after average last frost. Plant them indoors 6 weeks before the average last frost. Two varieties I've chosen for this years garden. Zinnias' have got to be one of the happiest flowers! Their large flower heads and colorful petals come in different shapes and sizes from single petal varieties to very full! If you want to attract more butterflies to your garden plant more Zinnias! Plant them in a sunny, warm spot in containers or right in the garden and watch them bloom all summer long. Perfect for cutting; the blooms last a long time in the garden and in the vase! Many of today's Eco- conscious brides are choosing locally grown, fresh cut flowers as an alternative to expensive hot house grown blooms that have to travel many miles to the florist shop. 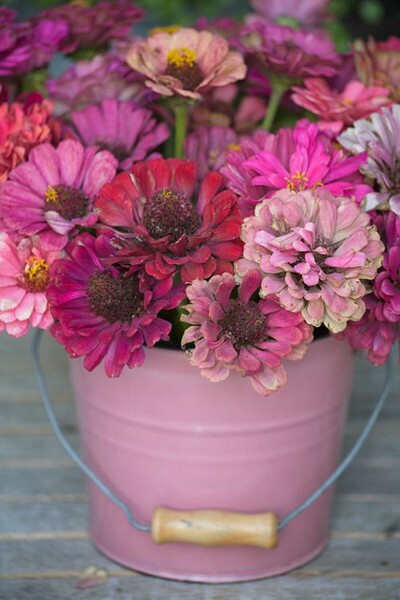 Zinnia's are also great fun to grow with your children or grandchildren! Why not set aside a special plot, pot or garden patch just for " the kids " ? Here's a pic or our two budding gardeners on planting day many years ago when we grew Zinnia's as a home school project. They are teens now and neither one of them could give a hoot about gardening, but if you were to ask them, they would know most of the common names for the flowers and vegetables we grow. However, I don't credit it to our little growing project all those years ago. How could they not know the names when it's all I talk about day and night, spring, summer and fall? I like to believe that they are gardeners deep down and that they'll return to the earth some day for creative expression and solace from a technologically crazed world. Stop pinching me! A girl can dream can't she? How about you? 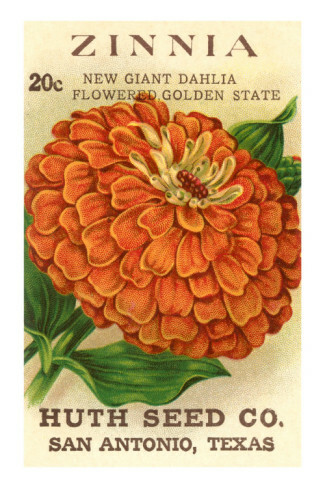 Do you grow Zinnias? Join me next week for a brief lesson on the Grand Dame of cut flowers, The Dahlia! I'm bringing my trowel over to Heidi's Country Garden Showcase! And, Show off your Cottage Monday blog hop! PS. Here are a couple of links for your to visit if you are looking for heirloom seeds.